Like a majority of electric utility companies, much of the utility’s transmission substation protective and control equipment is over 30–40 years old and is in dire need of upgrade and replacement. 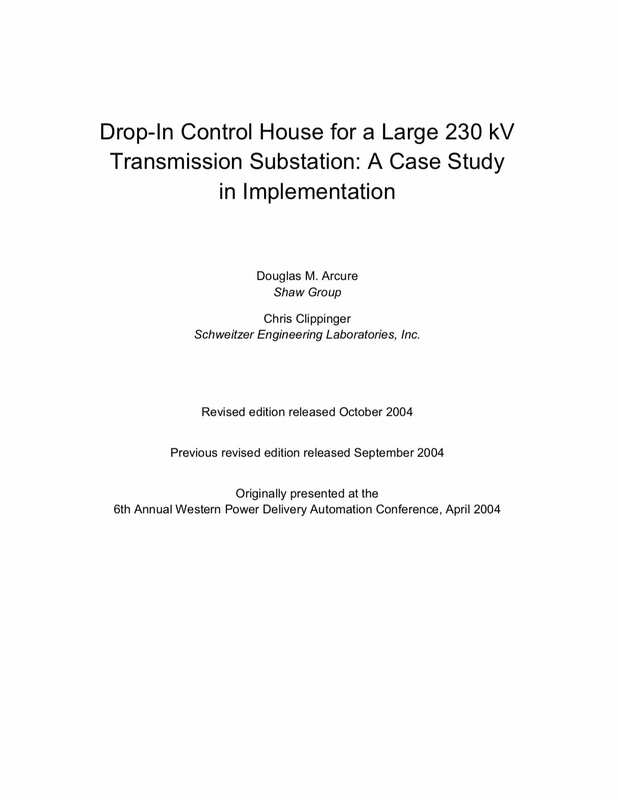 In the fall of 2002, the Utility’s engineers reviewed potential transmission substation automation upgrades for 2003 and determined that Tiger Tie substation located in Greer, SC met all selection criteria and was the best choice for performing a complete station upgrade utilizing the drop-in control house automated solution. Tiger Tie substation is a major transmission substation in the Utility’s electric grid that delivers power to a large area of western South Carolina, including parts of Greenville, SC and Spartanburg, SC. Tiger Tie provides critical voltage support and system stability for this area of their electrical grid. The station’s several key industrial facilities include a BMW automobile plant, a Michelin Tire plant, and several small textile mills and industrial plants. The Tiger Tie substation was built in the 1930s and, like most stations built at that time in the Carolinas, was built to provide voltage stability to many of the textile mills in the area. Originally, there was a small power plant built next to the station that was decommissioned in the 1960s. The original station control house built in the 1930s was a larger brick building that housed the relay and control equipment as well as, at the time, the plant switchgear. When additional circuits were added in the 1970s due to the lack of space in the original control house, a second metal frame building was built to accommodate future station additions. The older brick control house had various maintenance, repair, and environmental issues. Relay panels, flooring, and ceiling contained high levels of asbestos. Due to the obsolescence of the existing relaying and control equipment, it was apparent that a majority of the equipment needed to be replaced. Many of the cables were 45–50 years old and needed replacing. Tiger also had a dual battery system that needed replacing. It was clear that Tiger was an excellent choice for a station upgrade. 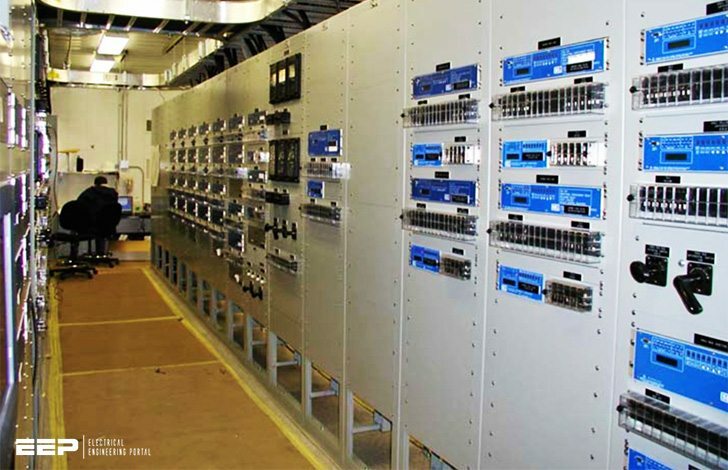 The existing protective relaying and control at Tiger Tie included a total of approximately 60 protective relaying and control panels with several thousand discrete components, including protective relays, monitoring and control devices (AFRs, RTUs, SOE recorders, PLCs), auxiliary relays, switches, and indicating lights. Tiger Tie had two control houses, one brick building approximately 70’ x 70’ and another metal building approximately 50’ x 20’. The new automated drop-in control house engineering design utilized for the relay and control upgrade at Tiger Tie provides more robust relaying, metering, and control functionality and significantly reduces the substation components. 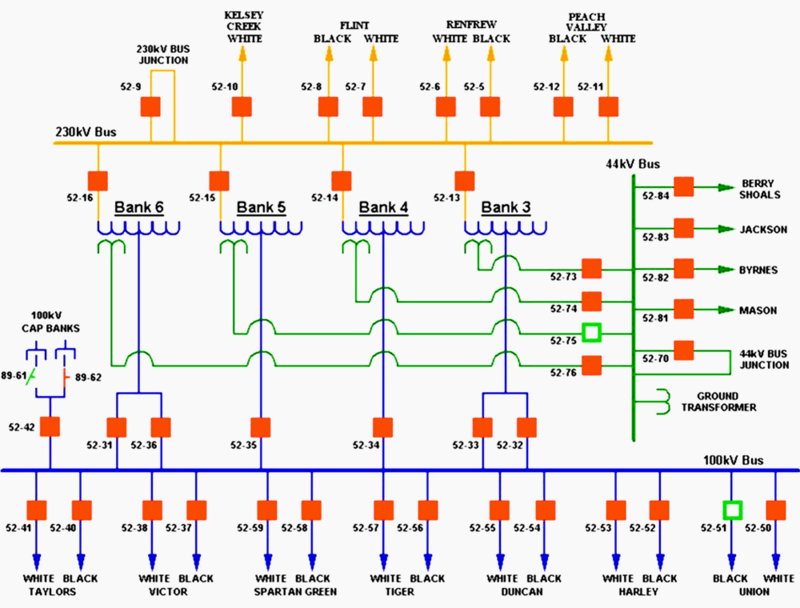 The quantity of panels was reduced to 26 (less than half the original quantity) with approximately 95 microprocessor relays and communications processors. The new design also reduced the number of unique manufactured components, electromechanical and auxiliary relays, meters, RTUs, SOEs, AFRs, and PLCs from over 100 to less than 15. The new “drop-in” control house was significantly reduced in size to a 40’ x 16’ pre-assembled, pre-wired metal building and a separate 12’ x 12’ battery house that was set on pre- poured concrete piers.